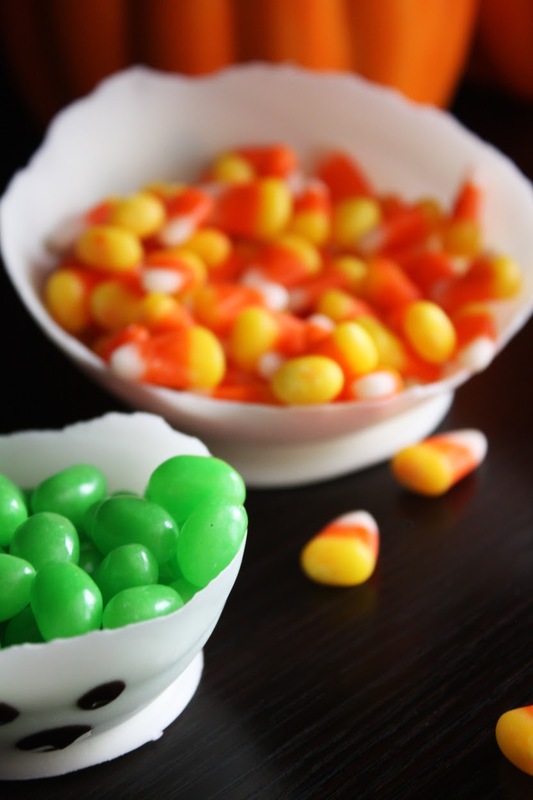 Candy On Candy... You Gotta See This! 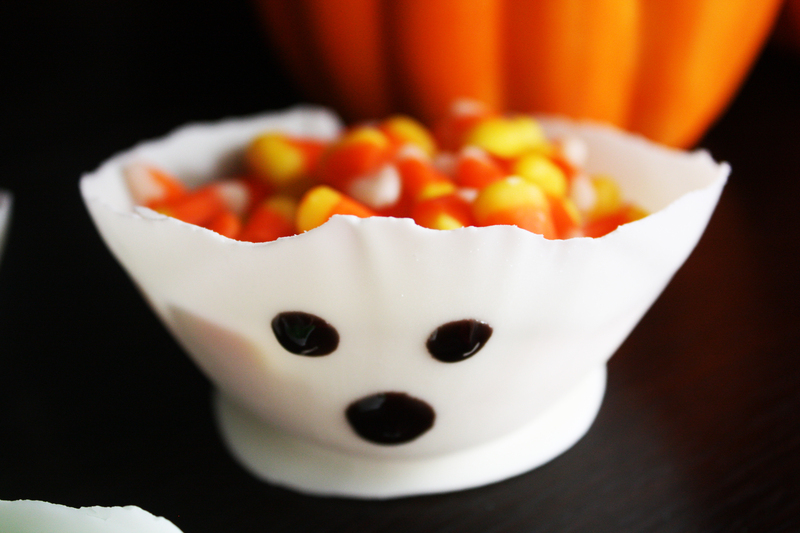 Here's an awesome idea for your Halloween party: serve candy in candy bowls (see what we did there). Your guests will love this twist. 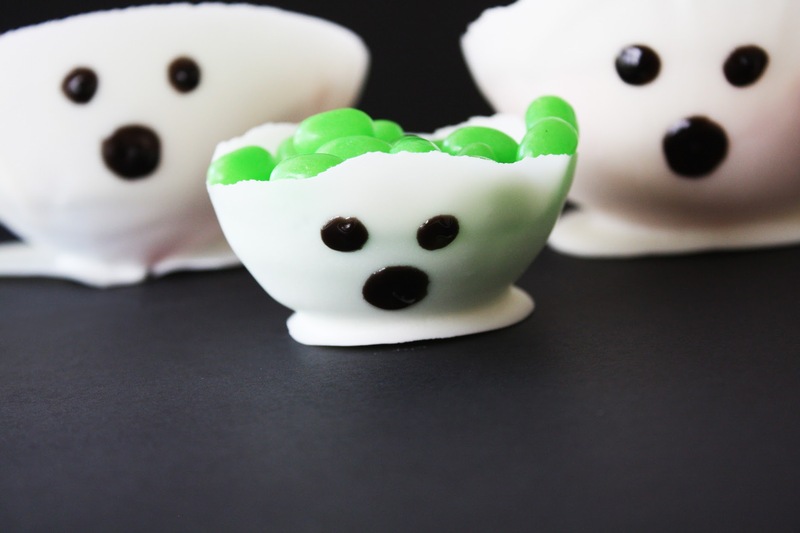 Plus, these white chocolate ghost bowls are simple to make and your kids can even help... unless they start using the water balloons for actual water balloons. Then send them outside. 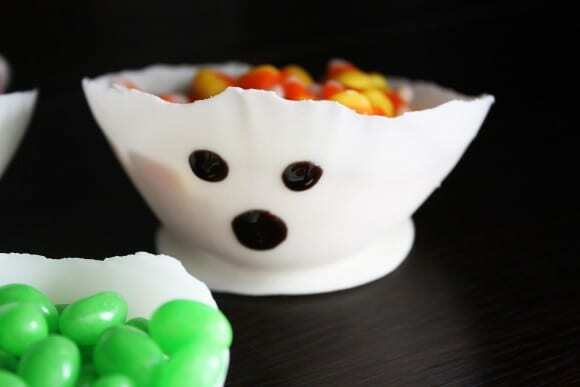 These white chocolate ghost candy bowls were created for us by Shauna at Ella and Annie Magazine. I think they're fantastic, Shauna! 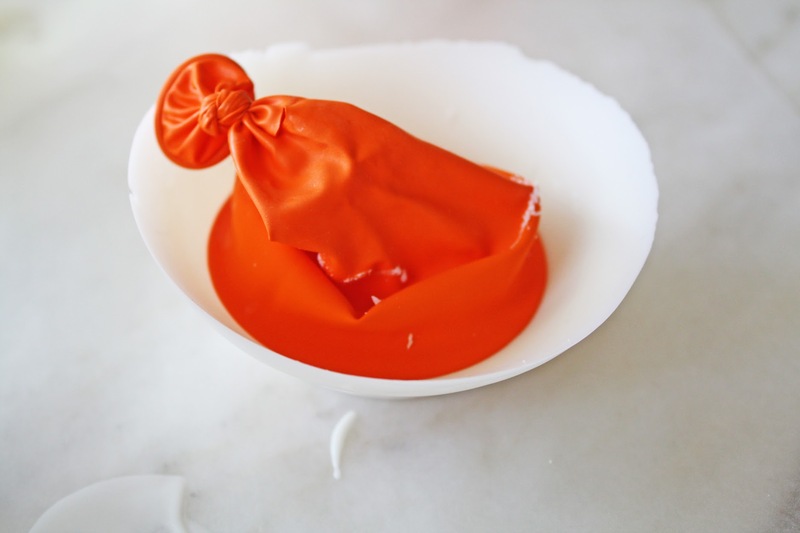 Blow up your balloons to the desired size. 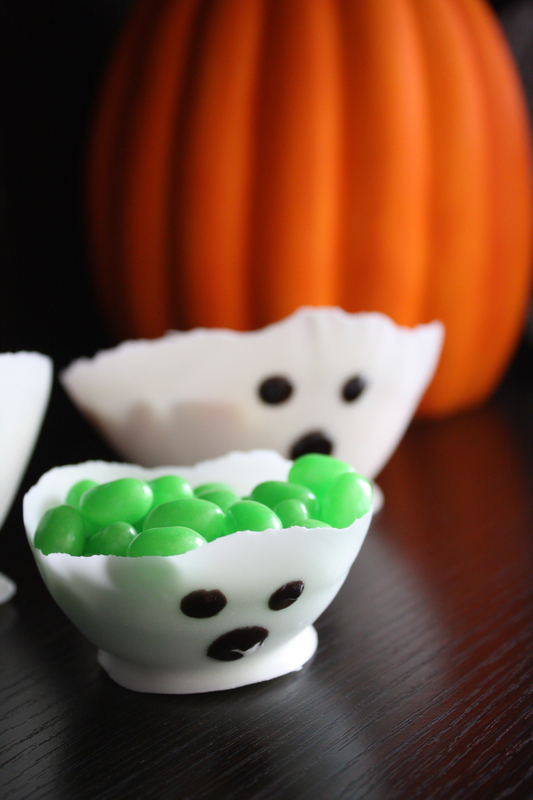 The water balloons will get you some cute mini bowls to fill with candy. 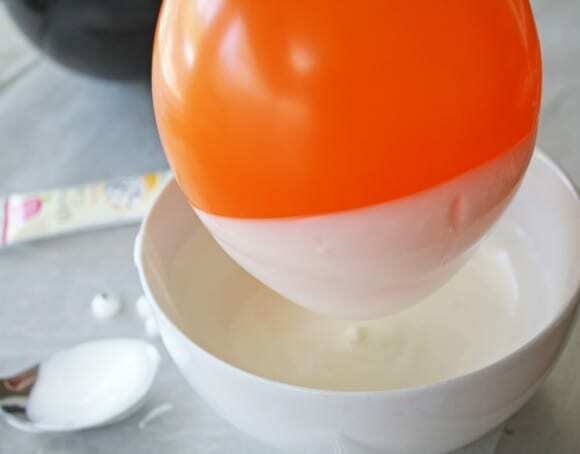 Wash the balloon with soap and water. Dry thoroughly. Melt the white chocolate according to package instructions (usually in 30-second intervals in the microwave, mixing after each one). 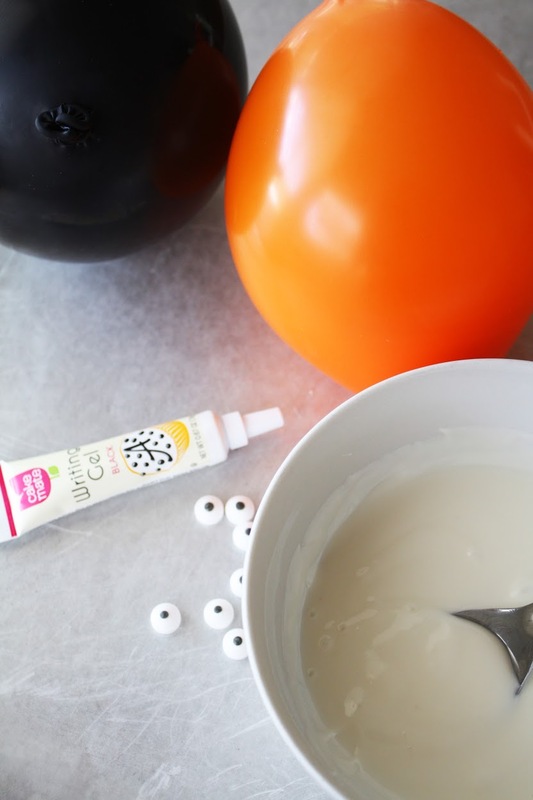 Dip the tops of the balloons (the part without the tie) Swirl the balloons in chocolate until you get a nice even coat. Lightly tap to shake off excess chocolate. Place dipped balloon on a baking sheet lined with wax or parchment paper. Repeat with all balloons. 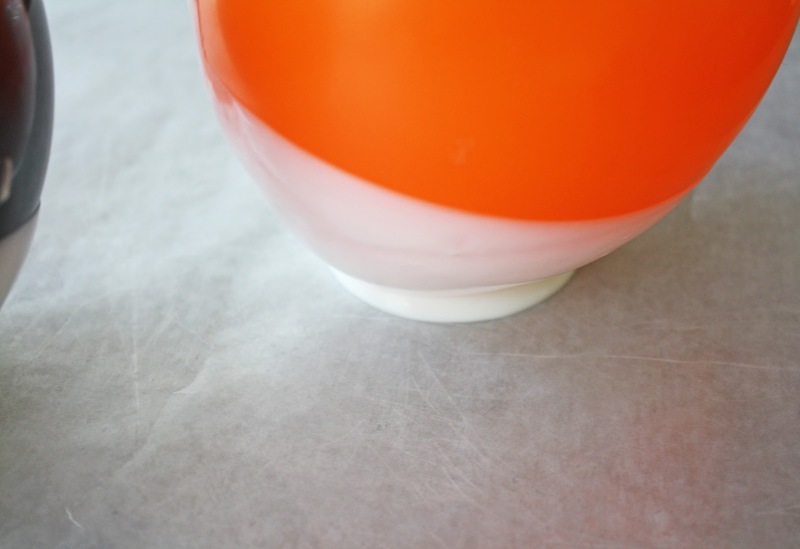 Place balloons in refrigerator to chill for at least an hour. 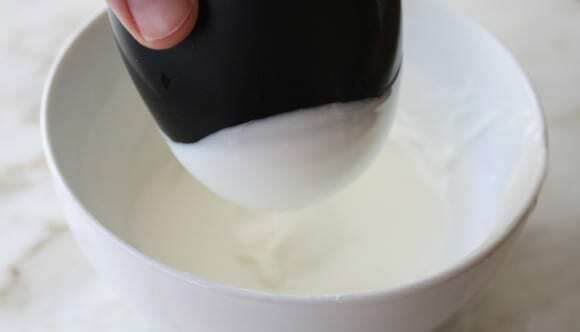 Remove bowls from fridge. Gently cut balloons to release the air. 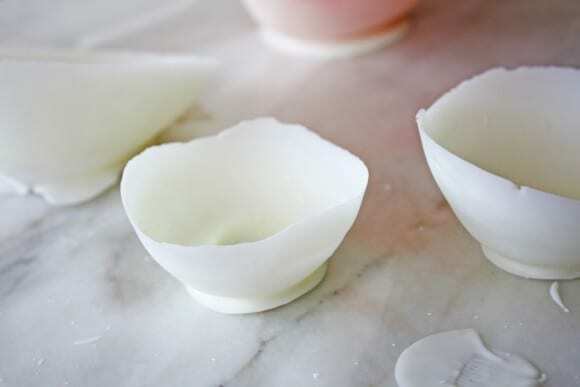 Peel balloons from bowls. Using the black writing gel, add the ghost eyes and mouth. 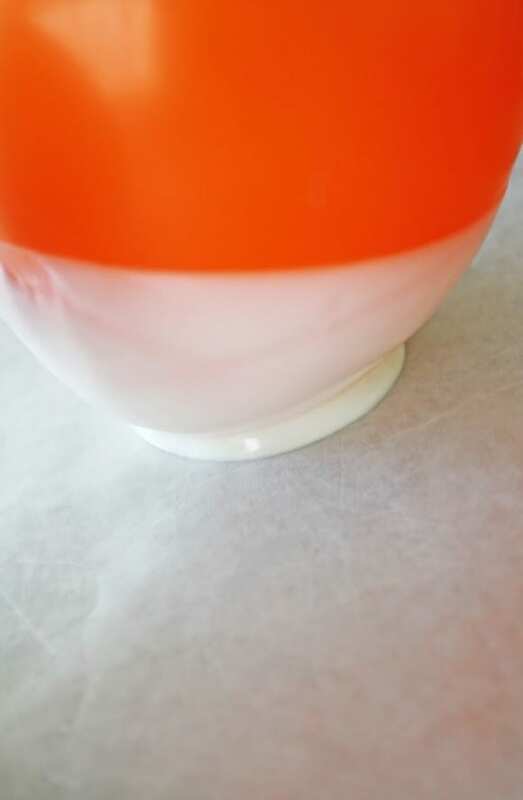 Keep bowls chilled until ready to serve. Add fun, colorful Halloween candy to each bowl!